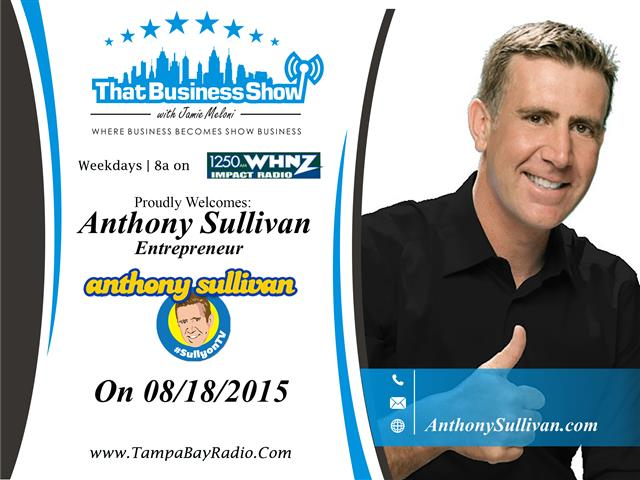 Featured on the show today was my very good friend Stella Guidicelli, and the legend himself, Anthony Sullivan. Showing us all his masterful skills in rhetoric, we got to hear of his story from how he begun in small town Britain all the way to selling household name products that we all know. He got to share with us the inside scoop on what’s coming up in the future, which you can find out about – and more on his website, http://anthonysullivan.com/. He’s also found on Twitter, follow him at @sullyontv! Having Anthony Sullivan with us was a blast, the only problem was that we didn’t have all day to talk! With such a success story as his, there is an entire lifetime of tales of perseverance through hardship. He went from selling merchandise on the streets to selling 5,000 mops in 28 minutes! Just by hearing him speak, one could tell he has so talent, and could sell anything to anyone! This entry was posted in Entrepreneurship and Business and tagged anthony sullivan, business, entrepreneur, tv. Bookmark the permalink.